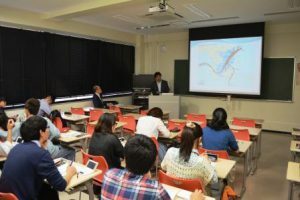 ASEAN-Japan Centre was again invited to deliver lectures at Saitama University. The lecture covered the history of the establishment of ASEAN, introduction of ASEAN Member States, chamrs of Indonesia with images and data. 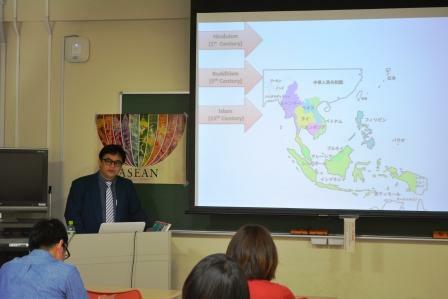 Students seemed to be inspired by colorful culture of ASEAN, which has many influence of history and religion. 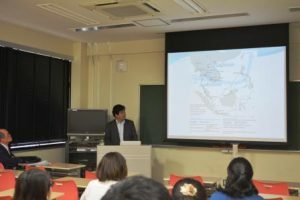 In the lecture, the speaker talked about the current situation of ASEAN after overcoming difficulties, its unique diversity, and expected challenges in the future. 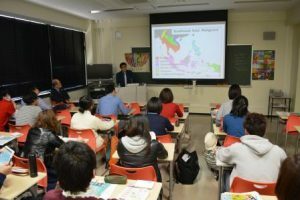 Students were engaged in the lecture, asking variety of questions such as advantages of joining ASEAN and difference in decision-making process compared to EU.